Can I use Wishpond for email marketing? Yes you can indeed! Your plan also includes an email marketing feature so you can send out specials, blogs, welcome emails and much more to your leads and customers. How can I add a Favicon to my landing page and change the title? In the campaign's editor click on the top left paint palette icon and select 'Favicon'. Upload your image and publish! 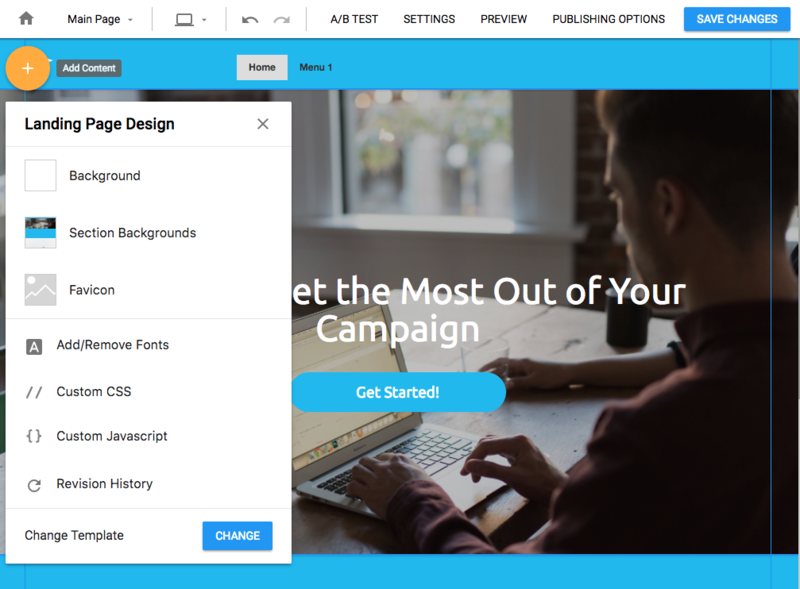 Do I need a landing page if I already have a website? Home pages have different goals than your content pages and landing pages do! I recommend getting a landing page to pitch that offer upfront! You call allow persons to see the website afterwards. I don't have the time to set up a campaign, do you offer a service that does this for a fee? Can I have a one-on-one training with someone? My campaigns are saying 'built by Wishpond'. Can I turn that off? First click on your display name and select 'Account Settings'. Then click on the green selector to remove 'Show Wishpond Branding', and 'Save Changes'. You can upgrade your plan by visiting the Plans & Billing page after clicking your name to the top right. 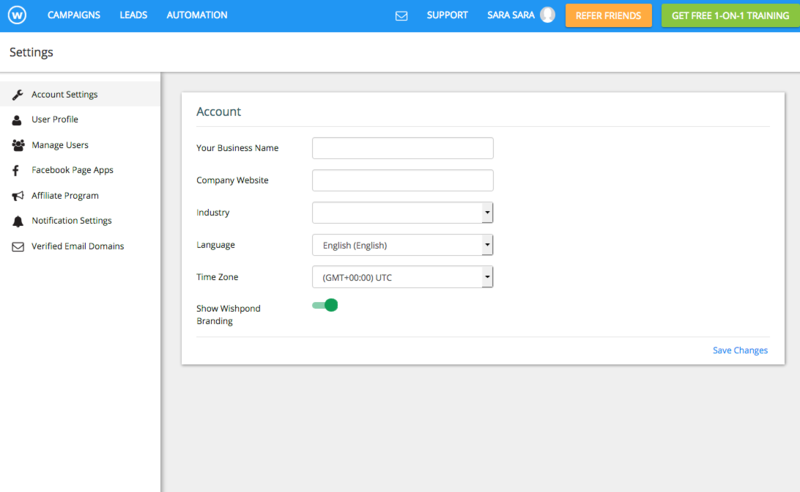 Step 1: Click on "Name - Settings" tab from the top of your Wishpond dashboard. Click 'Plans & Billing", then select "Plans". Step 3: Enter the reason you want to cancel and press "Cancel my plan"
Why was I charged for an annual plan after the trial? If you do not cancel within the 14 day free trial you commit to the full annual plan. You pay for the full year upfront after the trial is over. Please contact us asap if this is the case with your situation. You can use automation workflows to set up email drip campaigns that span over any amount of time. Check out Email Automations to find this option. How many emails can I send per month? You can send 10X the email of that your lead limit is. If your limit is 1,000 leads, you can send 10X1000= 10,000 emails per month.